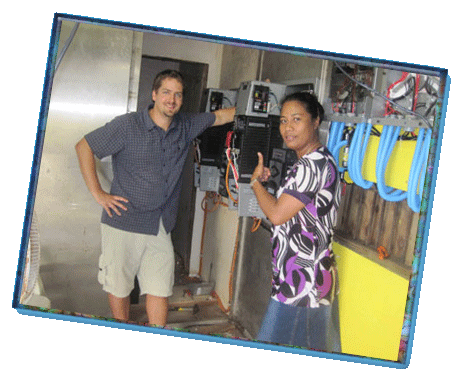 Our solar projects are intended to provide useful services to those in need, especially in remote locations such as the Marshall Islands. 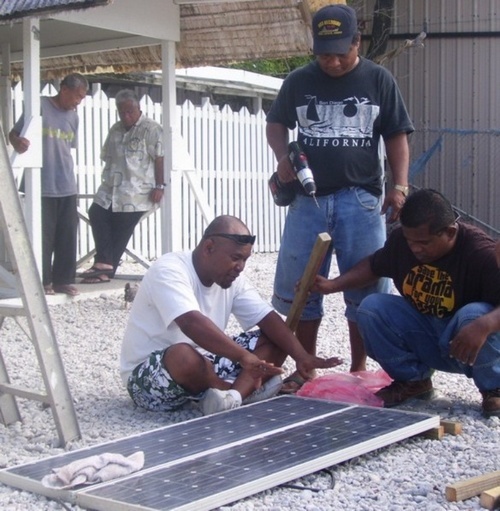 We have been providing solar power systems to schools, hospitals, community halls, churches and homes all over the Marshall Islands. 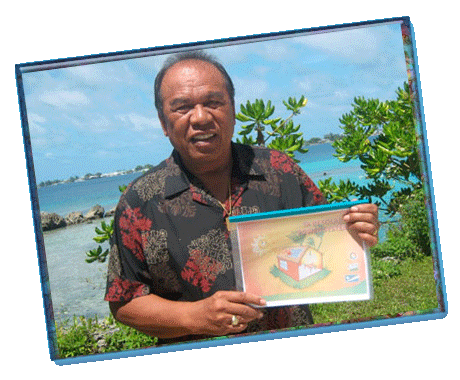 On many of these islands there is no central power grid, and therefore small-scale locally generated power systems greatly benefit the local population by minimizing the use of expensive imported fuel. 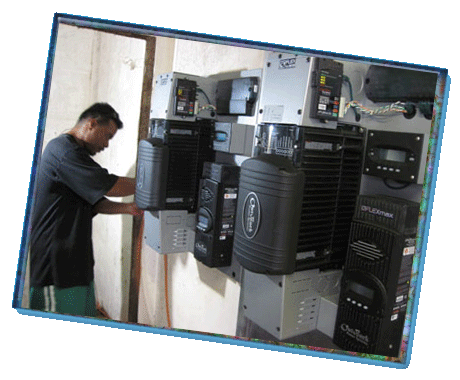 The intention of our solar projects is to provide a usable, sustainable, and cost effective supply of electricity for specific uses. 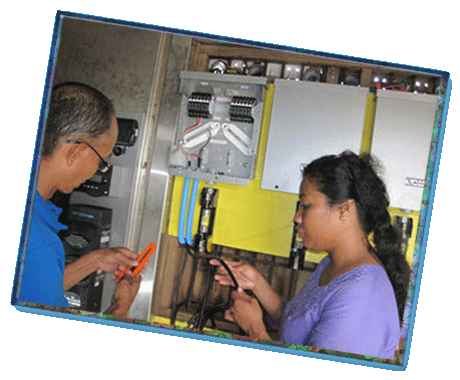 By integrating the customer into the lifestyle of using a solar power system, and providing training and technical support, we find the users are much more likely to properly maintain their systems for the long-term. 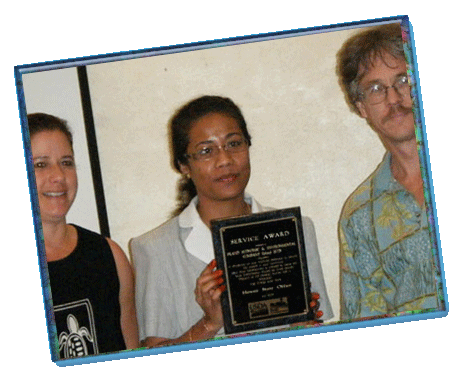 Therefore, we believe that the education of users is central to the process of bringing users and technology together. 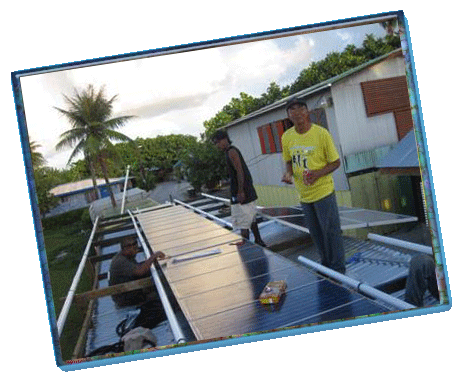 We import the technologies to the Marshall Islands and then educate the users on the fundamental principles of solar electricity generation. 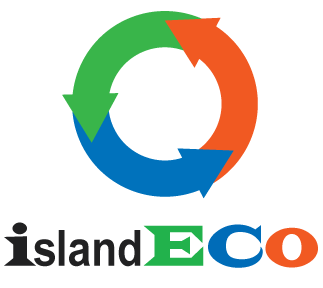 We see this knowledge base growing and hope it will be utilized for generations to come with the growth of renewable energy globally.